They cumulatively weighed 3,500 pounds and gave us walrus smooches that made us feel like we were having our hands awkwardly made out with by Wilford Brimley. Soon after our daughter Olivia was born, I accompanied Lauren to our new friend Laura’s home to pick up some maternity clothes that she graciously let Lauren have. We learned from Laura that she used to train walruses at the zoo for a living. Immediately, I was intrigued (because walrus) and peppered Laura with a litany of questions about her experience as a professional walrus whisperer. Not a week had passed from my initial encounter with Laura that the picture below showed up randomly in my Instagram feed. The walrus seed was once again watered in the part of my brain that daydreams about marine mammals and moderates the impulse to ride shopping carts in parking lots. An amazing – and admittedly, quite odd – quest lay before me. I was going to meet a walrus. 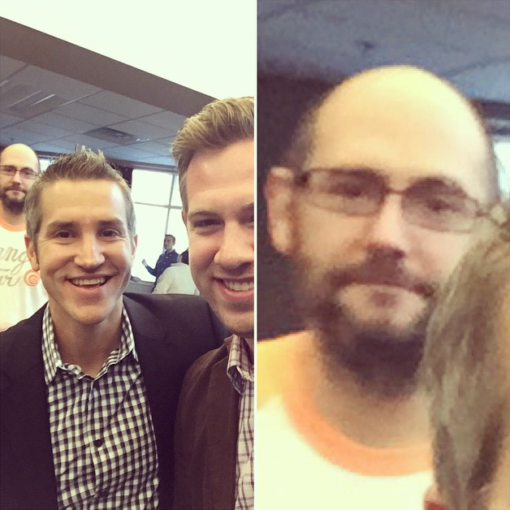 Not long after I’d committed to befriending a walrus, I attended a meet-and-greet in Indy hosted by Jon Acuff, an author/speaker/appreciator of cats in turtlenecks whose work I’ve enjoyed for the past 5 years. Jon was promoting his new book Do Over (which you should buy) and encouraging all of us in attendance to share what dreams we’d been working towards realizing. Shout-out to Jon, this guy, and whomever he’s epically photo-bombing right now. As I stood there talking about walruses before a room of strangers, I realized that my dream didn’t have to look like everyone else’s, let alone be fully understood by other people. 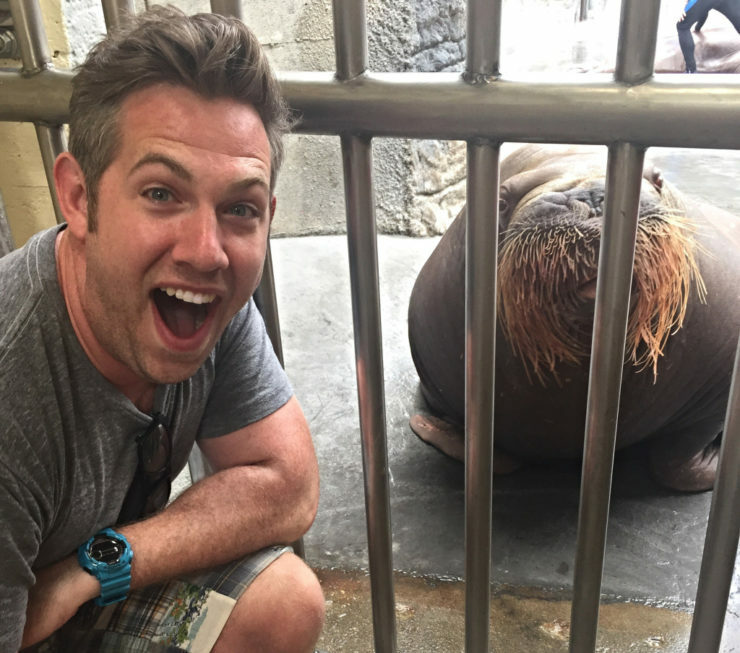 Was my dream of meeting a walrus out of the ordinary? Absolutely. The first time you stand two feet away from a behemoth creature that looks like an amorphous turd with a mustache, it’s natural to wonder what in the world you’re doing and why you’ve spent months to get there. 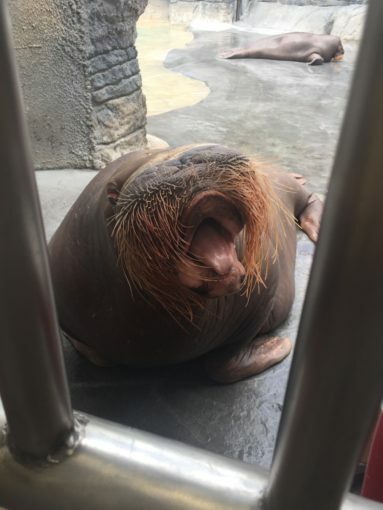 The smiles on the faces of my wife, our friends, and their kids (and I think Aurora’s below…) at the zoo that day made all the unorthodox aspects of my walrus dream worth it. Direct your eyes to the walrus deflating in the background. Friends, it’s OK to dream differently from time to time. Somehow Ellen DeGeneres ended up talking about it on her show. 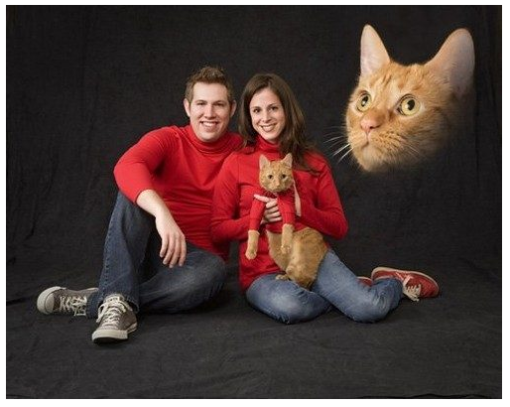 To date, it’s found its way onto Buzzfeed, The Chive, E!, and the NBC Nightly News. Check out those sweet turtlenecks at the 1:50 mark in the clip below! What started as an off-the-wall idea over dinner with my wife became something that has brought laughter (and a healthy dose of confusion, I’m sure) to people across the world who we may never meet. For the record, it hangs above our fireplace at home in a place of honor. We don’t say a thing about it when we have new visitors. We just let them discover it and all of its awkwardness for themselves. Look at how dramatically Rusty’s jawline emerges from the abyss. It’s OK to be unsure of how your dream will sound to others. 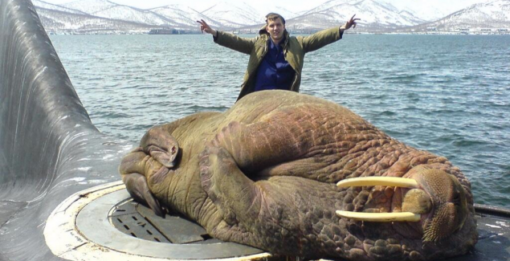 Everyone I’ve told about my walrus adventure has either responded with a laugh or curious question (“How in the world did you get to do that?“). Not one person frowned or discouraged the conversation from going deeper. No one rolled their eyes or made a comment that made me feel two feet tall. Lastly, it’s also OK to want to hang out with a walrus and hear his/her personal aspirations and hopes for the future. I think we could all use some extra outside encouragement from time to time to go after the once-in-a-lifetime things we’d like to experience, whether that means meeting some walruses, starting a family, launching a business, picking up a paintbrush, or anything else you might be thinking about right now that’s awesome and deserves your pursuit of it. So here we go. It’s time to get courageous. What dreams do you have that might be a little out of the ordinary? What’s your walrus? In other words, what awesome opportunities do you have before you, waiting to be enjoyed, and who can experience them with you? What walrus-like dreams do you have for other people in your life? Who can help you to realize them? I want to get my wife a behind-the-scenes tour of the Sesame Street set somehow. I want the Young Life leaders I work with to get a letter 20 years from now from former high-school students whose lives were changed forever by their influence on them. I want my friend Jack to get to sit in on a recording session in a studio in Nashville. I don’t even know what that means, but let’s find out together. Maybe we can even make some walrus voices along the way. They like to whistle and I’m not even joking. *Dinosaur roars in movies are mostly stretched-out audio files of walrus bellows, mixed in with some goat and dog noises. This is a fact we learned from the walrus trainer at the zoo. Now you know and can lean over and tell the person next to you at Jurassic World, “Hey, that T-Rex roar is really a walrus” 34 times like I told Lauren, who totally loved it.